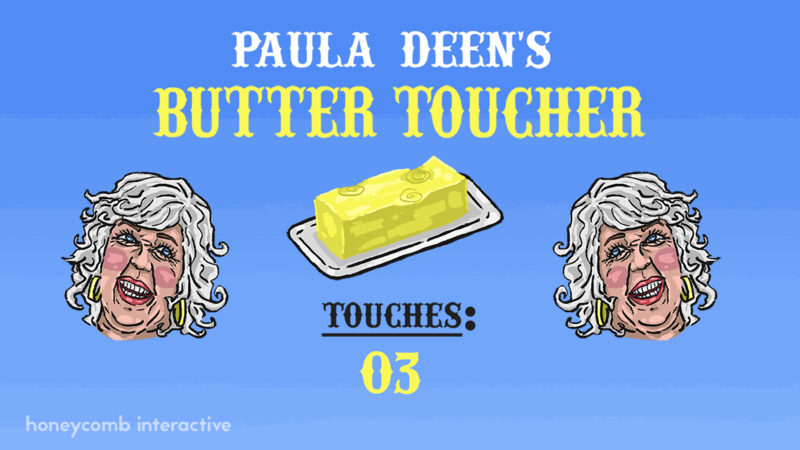 How many touches does it take to get to the center of a stick of butter? Join the south's most famous butter aficionado, click away to your heart's content and find out! Thanks for playing and spreading that sweet sweet butter, brother! Sorry it crashed on you, I saw someone click to 666 on it at this one game jam. What exactly is the purpose of the game? Is there an end? Is there an answer to all of this madness? Why am I touching this butter? Why haven't I stopped? Is this game addicting? Am I addicted to this game? 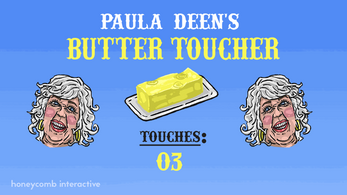 Do I just have a thing for touching digital butter? I have many questions and I fear they may not be answered. Why did I make a video out of this?